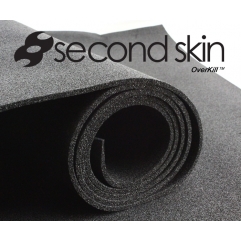 Overkill™ is a very flexible OEM style foam made of closed cell vinyl infused with rubber, specifically engineered to absorb airborne noise in your doors between the frequency range of 15k Hz and 20k Hz. When applied inside doors, top of our Spectrum or Damplifier vibration dampers, Overkill absorbes airborne sound waves that come from the door speakers and help to reduce the echos inside the doors. When applied on the back of upholstery it creates pressure that isolates rattle and squeaks, helping to improve the luxury car silence of any automobile. 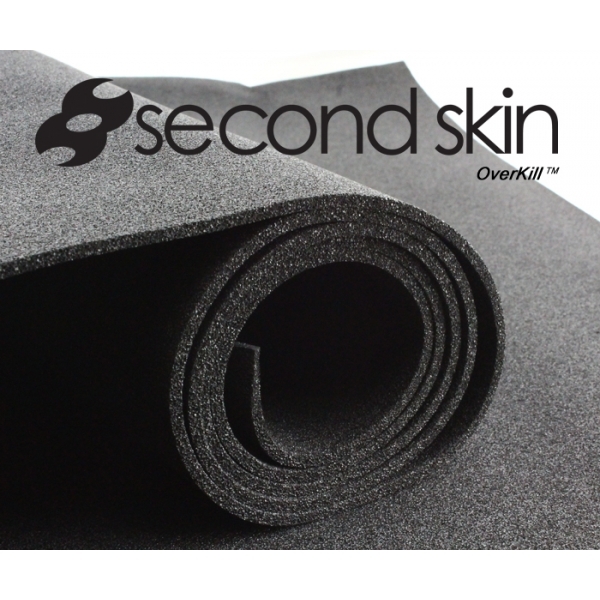 Many people use closed cell foam materials like Overkill or Ensolite on top of vibration mats, but this does very little for noise reduction. Unfortunately there are several companies out there marketing cheap closed cell foam as noise barriers, and we are left to combat poor marketing by educating our customers on how things really work. Mass is key when reducing airborne noise, and closed cell foams simply do not have the mass that is required to effectively do the job. For reducing airborne noise, Overkill will help some, but not nearly as much as our barrier products Luxury Liner and Luxury Liner Pro. Applying a layer of Overkill inside the doors on top of your Damplifier or Spectrum vibration dampers is the easiest way to improve the acoustics from your door speakers. First, Overkill will reduce the airborne sound waves that are able to penetrate the vibration damper. This reduction in unwanted noise will equate to in increase in the desired noise which is your music. Overkill will also reduce the intensity of distortion causing reflections inside your vehicle. The less noise that is bouncing around the car walls, the louder and clearer your audio system will sound. Anything you place in front of the heat source will help reduce or slow down the heat. Overkill will help reduce heat to a small degree but is not specifically designed to do so. Any heat reduction noticed from Overkill is purely a side benefit, not an intended result. For The ultimate in heat damping protection, use a combination of pre-cabin treatment like Thermal Block, and/or in-cabin treatment like our Damplifier Pro followed by Luxury Liner Pro and/or Heat Wave Pro. What is the difference between Overkill and Overkill Pro? 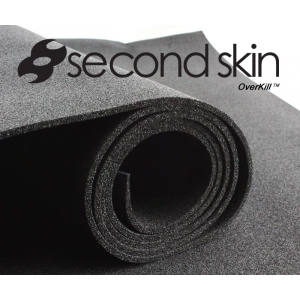 Overkill and Overkill Pro are both made from the same exact closed cell foam. The difference is in the total thickness and weight. The extra thickness and weight that comes with the Overkill Pro makes it superior to regular Overkill.